Thank you for that insightful, life-affirming comment. I now feel like a better person. Even if I don’t have enough money to get this on release date I’m going to get my parents to pre-order it early for Christmas so I get the bonus features! Wait, “Casino Night Zone pinball mini-game”? So it’s not the full Zone? Yep, it’s a pinball mini-game. The 3DS version has the full Casino Night Zone. Nice cover, but I prefer the regular edition version. But I’ll gladly take Casino Night Zone DLC! I hope we have some confirmation from Sega. This is confirmation from SEGA. Sonic Paradise says it’s SEGA Spain’s official Sonic Tuenti page, as I mentioned in the news post. Now watch as Retro fans pose the box in their room so that nobody sees Modern! Omg! Your a genius! That’s an awesome idea! But seriously that was a tad harsh. 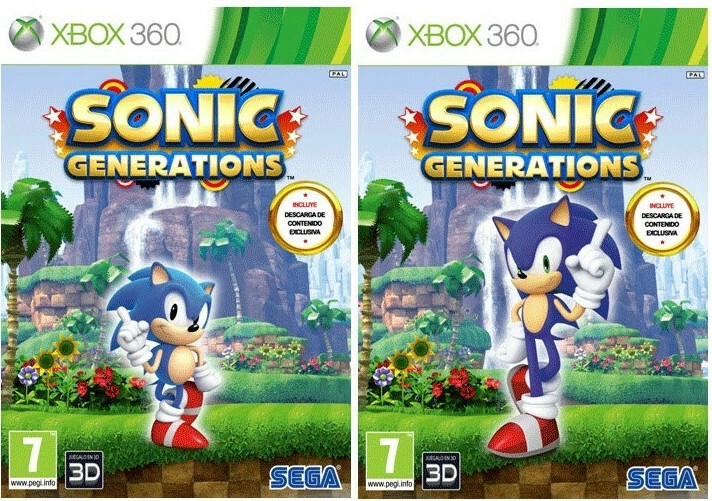 If Sonic’s “new generation” games after Generations that were mentioned changed his appearance again. And say I dunno, they melded Shadow traits into him (since so many people like him, not at all my personal opinion) gave him light blue/aqua stipey bits in his spines, gave him a jacket, and changed his gloves to match the new colour scheme and his voice was now, i dunno, voiced by a British voice actor with a strong accent, would you be pleased? Would you say it’s his new look etc just get over it? Playing with nostalgia is a powerful thing, giving him a voice, changing his eyes, his physique etc, to some people it was a big deal, a change from what they grew up with and were used to. There are a lot of unreasonable people on both sides, and some that don’t take the time to understand where the reasonable ones are coming from with their complaints or critique. If you waited 15 years for Adventure 3 and the only playable characters you got were Sonic, Big, Cream and Charmy you wouldn’t be happy would you? Put yourself in the other sides shoes, they may be unreasonable but all they really want under all the complaints is for it to be given the justice it deserves as a new entry in the classic numbered series. Sadly I wont import it just for Casino Night DLC. I prefer stantard edition unless something very special show up. They could’ve done something a little more creative than just copy-pasting renders. At least it’s lenticular, so the pic changes depending on the angle you look at it. And that’s a bad thing why? They are already doing it anyway, what with Sonic 4 and all. It’s kind of selfish only wanting them to make the Sonic games you like better. The mix of old style 2D mixed with the 3D in Unleashed and then in Colours has earned them nothing but praise and money. 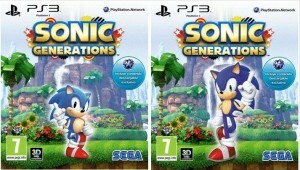 And even tho fans (the unappeasable ones) complained about it, Sonic 4 sold well. Not to mention reviewers and fans alike really looking forward to Generations, I don’t think their current formula is gunna change but become more refined with the modern games and it’s 2D to 3D gameplay. 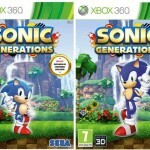 And hopefully Generations will help fix what the unhappy people didnt like about Sonic 4. It may be true you can’t keep everyone happy, but I think it’s great Sega is trying at least. Plus it’s nice to have the old 2D type experience not totally relegated to the Nintendo and Sony handhelds as an afterthought side story type game. Nope, it costs the same as the standard game usually does. GAME, GameStation and Gameplay are the exclusive carriers of it in the UK and are selling it in place of the standard game. All 3 retailers are selling it for £34.99, which is £5 cheaper than PS3 and Xbox 360 games usually retail for. It also comes with the theme and Xbox 360 Avatar the US has as pre-order gifts, too. If this has more than just the Casino Night DLC and the system themes I will be so pissed. Those look more like movie posters to be honest. So I guess this special edition is no different from the pre-order at gamestop for North American players right? I hope so, I had a hard as hell time getting the all stars European version (the one with the wheel). If this is just the game with DLC included, I won’t even bother. Yeah. If you follow the link to the GAME Special Edition article, you’ll see it’s got the same stuff the US is getting as a pre-order bonus. It’s also selling for the same price the standard game sells for. So basically, it’s the same deal you guys in the US have, except we Europeans get it in fancy Special Edition packaging and don’t have to pre-order to get the extras. That’s cool and all, but what I REALLY want to see is that $200 edition! Mighty Ape just dropped the price from $199 NZ down to $179 NZ. Maybe news is incoming if they are finalizing the price? Btw, is anyone here hoping that the Casino Night DLC will have an updated Classic version music, and a Modern remix? I’m expecting that. xDDD That was pretty much my response. You were serious, LET ME LAUGH HARDER. Just checked GameStop.ca and there’s no pre-order bonus or special edition there unfortunately 🙁 Are there any other Canadian video game retailers that might have these bonuses? We’ll end up finding out that the Casino Night Pinball Game is its own game, and not a thing that can be accessed on the game menu. Modern and Classic Sonic go through the time holes only to find that Classic Amy is the Time Eater. The last 13 minutes of the game are just a gratuitous murder scene of pink fur horrifically flying into the air, erasing the Classic and Modern Amy from existence. Then the two Sonics start making out. SEGA hates you. I only want classic sonic box god! Too bad there hasn’t been a Collector’s Edition announced…. Hey Shadzter, Sega just revealed the Collectors Edition for USA too, has a ton of stuff in it! It’s crazy! Yeah sorry, it was just for Europe…I was excited till I saw the tiny little note ‘Only in Europe’…. Thanks. I’m already working on it. Btw, SEGA’s blog entry says it’s Europe only I’m afraid. I know, haha. I got too excited, and didn’t take notice till a little bit later. I just hope that us in the US will get something like this. 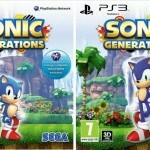 Interesting to see Europe receiving some love from Sega. Curious though if this SE will be worldwide. Now the suspense, if we hear anything stateside. 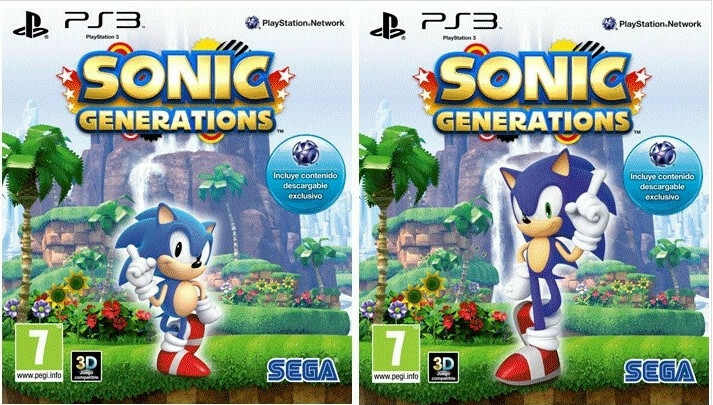 If not, Generations looks awesome in any form. Yeah, it is. In Europe you have to get the DLC by buying the Special Edition at certain retailers, which fortunately costs the same as the standard game sold everywhere else anyway.